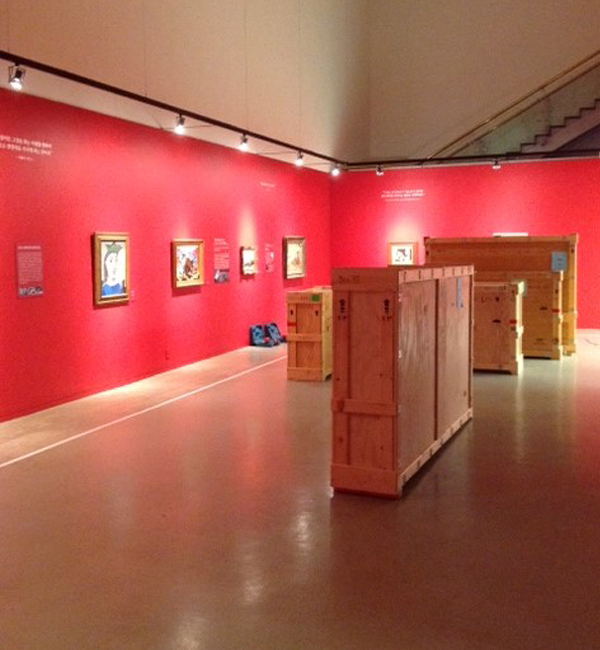 After a visit to the Daejeon Museum of Art in central Korea, masterworks by the likes of Daumier, Degas, Kandinsky, Picasso, and more from The Phillips Collection are headed back to the U.S. Phillips Preparator Shelly Wischhusen and Associate Registrar for Exhibitions Trish Waters snapped some pictures as the exhibition was being packed up (and got in some sightseeing as well!). 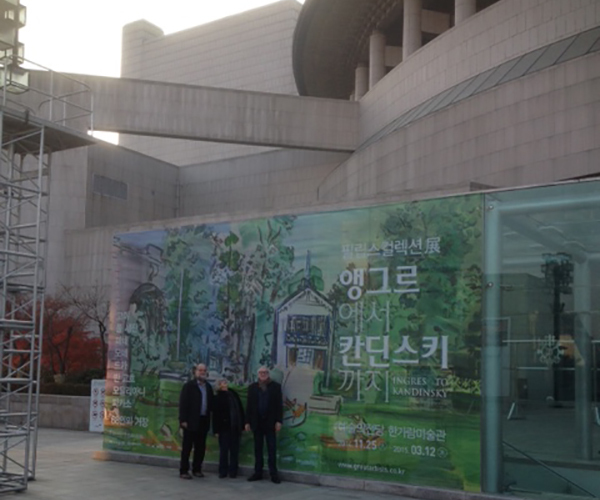 Phillips Staff outside the Seoul Arts Center. 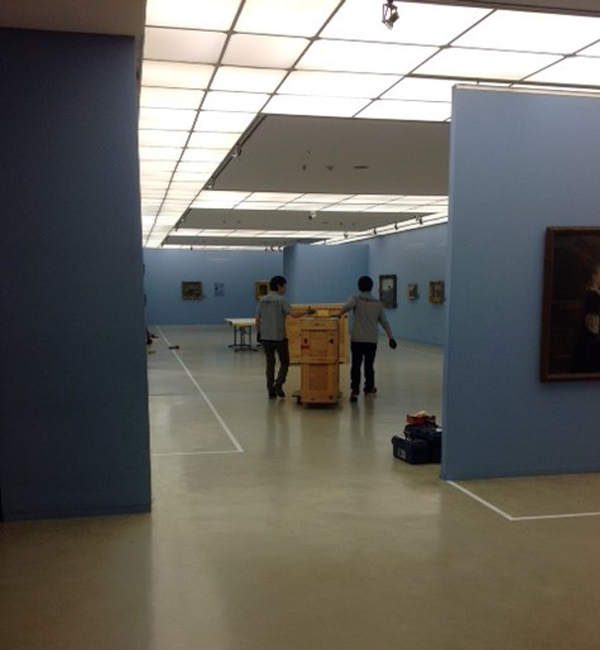 More crates are brought in for packing up artwork. 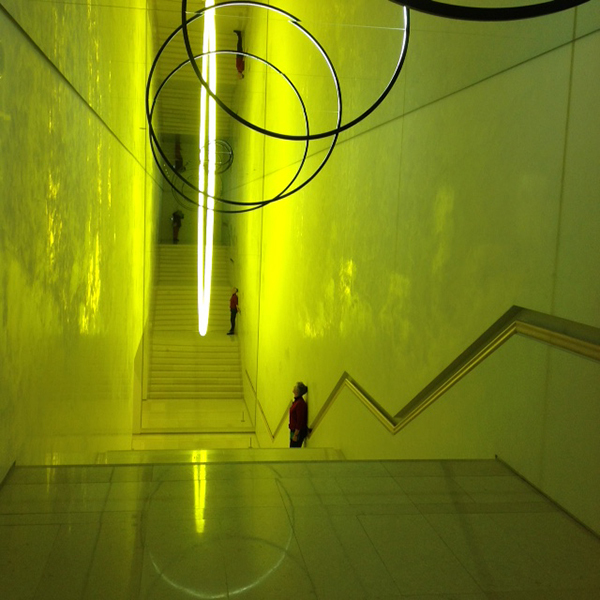 Phillips employees took some time to sight-see, including Olafur Eliasson’s installation at Leeum, Samsung Museum of Art in Seoul. 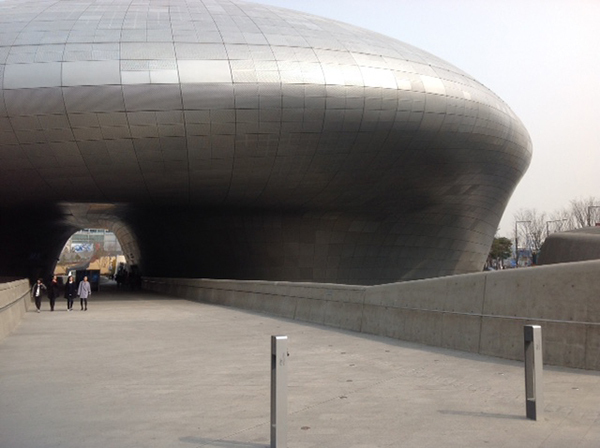 View of the Dongdaemun Design Plaza. 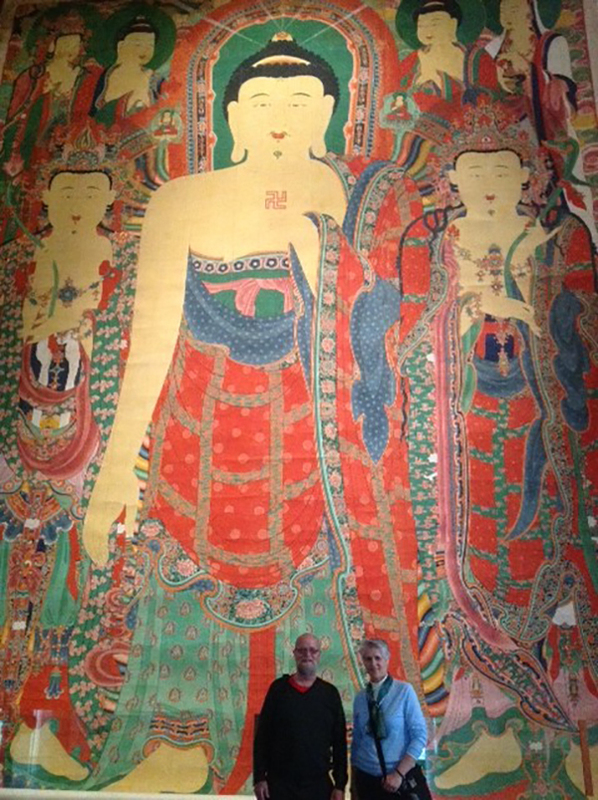 Phillips Preparator Bill Koberg and Associate Registrar for Exhibitions Trish Waters pose in front of a Buddhist Hanging Scroll for Outdoor Rituals (Joseon, 1700, 995X915cm, Treasure No. 1268, owned by Naesosa Temple) at the National Museum of Korea.